Luminite Electronics, British manufacturer of wireless and hard wired PIR detectors are pleased to announce that their OCULi wireless PIR camera now integrates with the Sentinel security monitoring platform. 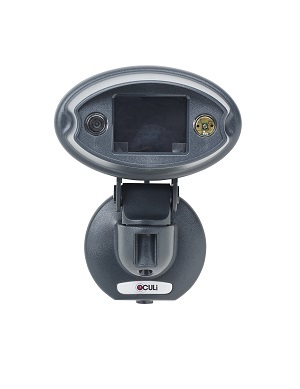 OCULi is a stand- alone PIR detector with a camera and is designed to provide visual verification in vulnerable areas where CCTV cannot be installed due to power and internet limitations. OCULi is powered by two lithium batteries with an expected life of between six and nine months depending on usage. OCULi is perfect for utility sites. Graham Creek, Managing Director at Luminite commented ‘whilst we have built a powerful self monitoring portal for OCULi, a number of our larger customers require the services of alarm receiving centres such as Arc Monitoring, and with their reputation in the industry they were the perfect partner for us to test and refine the Sentinel integration’. Fitted with a VGA camera and powerful IR LED, OCULi uses the mobile phone network to send rapid visual verification of a detected event. Each unit is fitted with a roaming SIM that will pick up the strongest network signal, irrespective of provider to ensure the fastest delivery of images, in fact up to four times faster than some competitors. No other equipment is required on site as each OCULi works independently. Using the iOS and Android OCULi free mobile phone apps, alarm notifications are quickly received by push notification. Users can also use the app to view events, arm and dis-arm units or sites as well as walk test and configure each unit for optimum coverage by way of OCULi’s built in low energy Bluetooth® OCULi units are also available with a speaker kit so that users or the alarm receiving centre can make a live voice challenge after an event.